Moon, B. (2017). Rereading 'Personal Response': A reflection on the contribution of Annette Patterson. English in Australia 52, 1, 8-13. Moon, B. & Harris, B. (2016). Career Motivations, Role Expectations and Content Knowledge of Prospective Secondary English Teachers. Australian Journal of Teacher Education, 41, 12, 41-66. Merga, M.K. & Moon, B. (2016). The impact of social influences on high school students’ recreational reading. The High School Journal, 99, 2, 122-140. Moon, B. (2014). The Literacy Skills of Secondary Teaching Undergraduates: Results of Diagnostic Testing and a Discussion of Findings. Australian Journal of Teacher Education, 39, 12, 111-130. Moon, B. (2013). Curriculum, change and crisis in English: Notes toward an understanding. CUR2210 Course Reader. Mount Lawley, WA: Edith Cowan University. Moon, B. (2012). Remembering rhetoric: recalling a tradition of explicit instruction in writing. English in Australia, 47, 1, 37-52. Moon, B. (2011). Writing Projects 2: Practical Lessons Based on Classical Methods. Chalkface Press. Moon, B. (2010). Writing Projects 1: Practical Lessons Based on Classical Methods. Chalkface Press. Moon, B. (2010). What's the Point of PowerPoint? : Appropriate Technology in the Classroom. Interpretations 42, 8-22. Moon, B. (2008). Things to do in Duskwood when you're dead: English Lessons from World of Warcraft. English in Australia, 43 (1), 47-56. Moon, B. (2004). Viewing Terms : A glossary for film and TV study. Chalkface Press. Moon, B. & Mellor, B. (2003a). Acquiring the knowledge. emagazine, 19, 37-39. Moon, B. & Mellor, B. (2003b). Developing the argument. emagazine, 20, 62-67. Moon, B. (2002). Literary terms: a practical glossary. 2nd ed. Cottesloe: Chalkface Press. Moon, B. (2001). ebooks, enews, epublishing: using the new technologies in English. In C. Durrant & C. Beavis, P(ICT)ures of English: teachers, learners and technology. (pp. 210-26). Kent Town, SA: AATE/Wakefield. Moon, B. (2001). ‘The text is out there’: History, research and The X Files. English in Australia, 132, 5-16. Moon, B. & Mellor, B. (2001). Writing critical essays: a practical guide. Cottesloe: Chalkface Press. Moon, B. (2000). Reading practices. In B. Graham (Ed. ), Trends and Issues in Secondary English 2000. Urbana, Ill: NCTE. 68-75. Moon, B. (Ed.). (2000). Science and Technology. In K. Willis (Ed. ), Access to books 2: A reading guide for adolescents. Sydney: Nelson, 1989. 98-150. Moon, B. (1998). Studying poetry. Cottesloe: Chalkface Press. Moon, B. (1998). Gender and reading. In W. Martino & C. Cook (Eds), Gender and texts. (pp. 3-34). Sydney: AATE. Moon, B. (1994). Rethinking resistance: English and critical consciousness. Interpretations, 27 (3), 48-69. Moon, B. & Mellor, B. (1994). Editorial introduction. Interpretations, 27 (3), i-v. Moon, B. (1994). Reading and gender: from discourse and subject to regimes of practice. [PhD diss.] Curtin University of Technology. Moon, B. (1992). Where is 'Elsewhere'? Gender, reading and social technologies. Paper presented to Curtin University Postgraduate Seminar, October 7. Bentley, WA: Curtin University of Technology. Moon, B. (1992). Theorising violence in the discourse of masculinities. Southern review, 25 (2), 194-203. Moon, B. (1992). Rev. of Beyond Communication, by Deanne Bogdan and Stanley B. Straw. AATE guide to books 1992, (101), 14-15. Moon, B. (1990). What is poststructuralism? 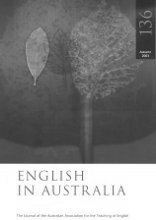 English in Australia, 94, 8-21. Moon, B. (1990). Studying literature: theory and practice for senior students. Cottesloe: Chalkface Press. Moon, B. (1987). An inquiry approach in English? Interpretations, 20 (2), 32-39.